Spending plenty successful years, Zinedine Zidane, hasn’t forgotten Juventus that have provided the space for the Frencman in taking a further step in his footballing career after shining in the local scene at Bordeaux. Acknowledging the difficulties that his team are currently having, the French maestro gives some advices for the Bianconeri’s management in picking same names that could probably help them in the summer. Naming some of the current talents that Zidane believes could make a positive impact for Juventus next season, the 38-years-old player, suggested the likes of Eden Hazard and also Jeremy Menez. Hazard is a talented attacking midfielder that currently plays in French with the league leader, Lille, meanwhile, Menez is a much well known talent in Italy as he is currently playing at As Roma and has pretty much impressed a lot of people with his performances so far. Aside giving some input for the possible transfer market Juventus should be trying in the summer, Zidane also didn’t close the door on a potential return at the Turin giant and working as one of the directors there. Although the French football icon is still working with Real Madrid at the moment, he opens his arm in helping the club in the future as he still feels strongly attached with the Italian club that have brought him lots of fame and fortune before becoming a galactico with Madrid. Moreover, despite many critics have been addressed with the current managerial team, Zidane also believes that under the patronage of Andrea Agnelli, the Bianconeri will soon be returning to their glory days. The Frenchman believes in Andrea’s future simply based on the Agnelli bloods that have always managed to bring success for Juve in previous time, including the moment where Zizous is still part of the White and Black squad few years ago. “Things have changed. It takes time. 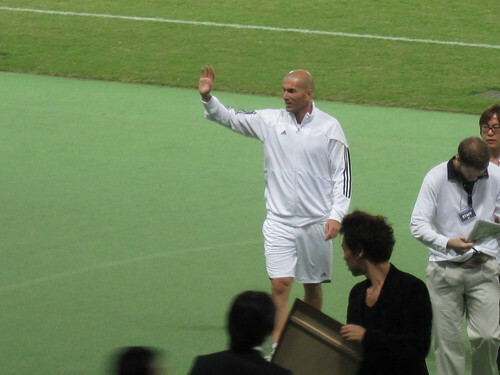 But the Agnelli name is a guarantee and I really hope that Andrea does well,” Zizou added.